The advice to motorists when weather conditions are extreme is usually to avoid all unnecessary journeys. But how unnecessary must a journey be to be avoided? We all have to get to work don’t we? Then there are those vital hospital appointments some of us have to commit to, children’s schooling to consider and of course shopping to be done! Its one thing to avoid popping to visit a friend but it’s another to ditch that visit to the doctor. Sometimes, a trip in the car is just unavoidable even when the weather is terrible and at these times, it’s usually sensible to take some realistic precautions…especially when we’re talking about heavy snow! The preparations are just as important as the driving advice, making sure your car is well prepared for a difficult journey could mean the difference between a breakdown in dangerous conditions and arriving at your destination unscathed. These 10 top tips are to ensure that you take all possible care to avoid accident and breakdown whilst you are on your journey. Obvious, but still important to mention. 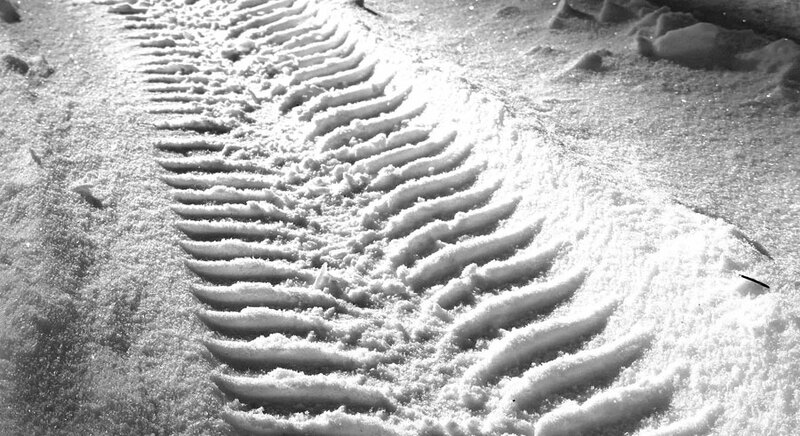 Check that your tyres are properly inflated and that your tread is of a minimum of 3mm…driving in snow and ice with bald tyres is a recipe for disaster. Clear all snow and ice from your vehicle windows and lights before you go anywhere. When driving visibility is reduced by weather conditions, its of the utmost importance to see and be seen on the road. Squirt some WD40 into the locks on your vehicle to assist them in remaining unfrozen if you plan to park for any length of time. Make sure your fuel and screen wash are topped up! Pack warm clothing including walking boots, hat, coat and gloves in addition to a blanket. If you can, take some chocolate, biscuits and a hot drink in a thermos flask these things could save your life. Start gently from stationary and avoid high revs. Once you are on the road, if you do go into a skid, take your foot off the pedal and steer into the skid…it’s about damage limitation at this point. Drive slowly but not so slowly that you can’t get any momentum…double the stopping distance between your vehicle and the one in front. Choose busier routes as the roads will be clearer due to salting and perhaps ploughing…and use the tyre tracks of the vehicles which have gone before as a guideline for your own car. Use your dipped headlights in falling snow so that you are visible - if conditions improve turn them off. Don't use fog lights in snow as they can dazzle other drivers. Stay in a higher gear if conditions are slippery for better control. Much of what will keep you and others safe whilst driving in snowy weather is down to common sense and patience. Never be tempted to rush when the weather is bad; taking care means taking your time and in this way your chances of a safe journey will increase. Pryers Solicitors have produced this handy infographic for winter driving, which echoes much of our ten top tips for driving in snow. If you are in doubt, do not make the journey, it is far better to be safe at home than risking life and limb on dangerous roads.